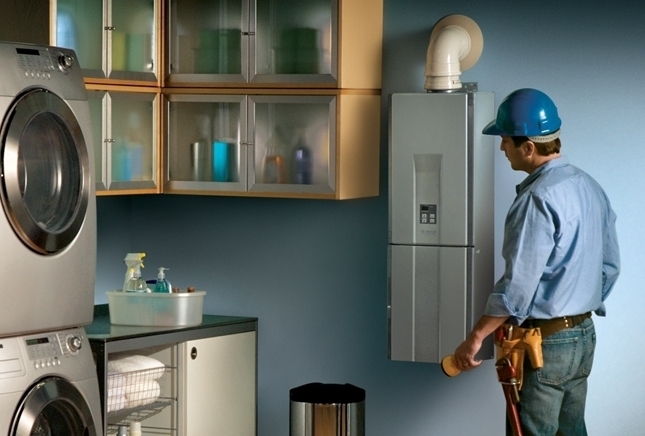 Swapping the bulky water heater that lurks in the back corner of your storage closet or basement for a streamlined model that provides hot water on-demand may seem like a no-brainer. However, any important household upgrade requires a clear-minded assessment before investing. Consider the following benefits of flipping your overworked, outdated water heater for a more energy-efficient, portable version. 1. You save space: If you live in a small apartment or house, you may want to consider tankless options. Tankless water heaters weigh approximately 25 pounds, depending on the model, and can be conveniently stowed in a closet, inconspicuously in the corner of your living room, or even mounted on your wall. 2. You save money over time: While traditional water heaters work hard to keep water hot as more enters the tank, tankless models heat water as you use them so you do not need to expend household energy constantly heating the water in your tank, waiting for someone to take a shower. While startup costs for tankless water heaters can run high, the long term savings far outweigh the initial investment costs. Keep in mind that, when considering a tankless model, you must leverage your hot water needs with the amount of people in your home. While running out of hot water using a conventional water heater is a problem for large households, the capacity of tankless water heaters is less than the old models. 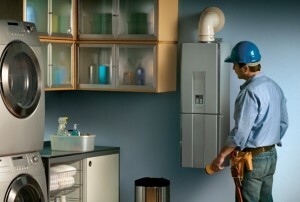 Thus, large families will need to decide how to use water and when to make the most of a tankless installation. 3. Your water is hot, when you want it: Types of water heaters that use large tanks work hard to keep the water in the tank at a consistent temperature. However, the cold water entering the tank provides a constant challenge to this water monitoring. In homes in which multiple people may wish to wash dishes or take a hot shower in the same hour, someone will likely run out of water. The solution? Use a tankless model to heat your water as needed, so your H20 is never sitting stagnant and no one ever runs out of what they need. Residential-sized models fired by gas are now available and provide five gallons of water per minute heated by 90 degrees, a nice output for two people. Electric-heated models provide substantially less- 2 gallons per minute- heated at 70 degrees. Using gas models is the most efficient way to obtain hot water for your home, optimizing your output. Tankless water heaters now provide homeowners with on-demand hot water that they can use when they need it, rather than waiting for an extensive heating process. Choosing your model is essential to finding out what you need to meet your home’s demand for hot water.